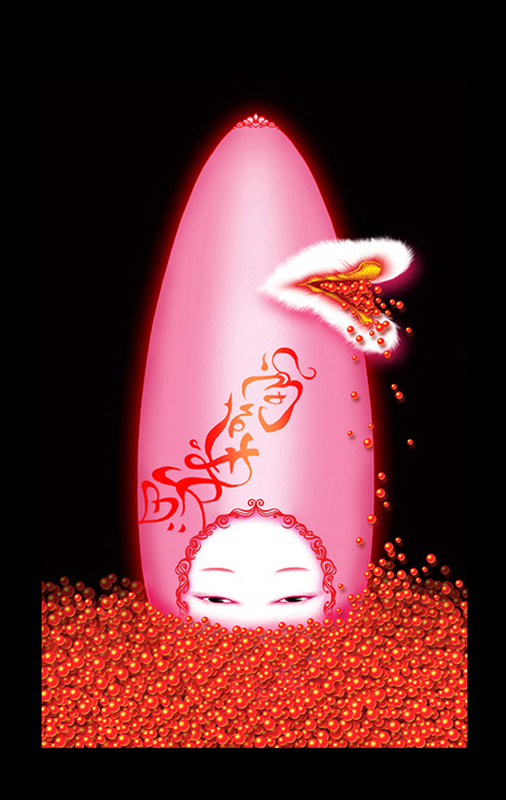 South Korean artist Dali Roll (달리롤) creates digital dreamscapes erupting with symbols of female reproduction. Ovals, ova, eggs, & other vulvic shapes dominate her work. The cute, flat, comic style & cheerful colors contradict the obsessive angst of the subject matter. Her digital creations seem to channel cryptic cries from the feminine collective unconscious.